The Omnigrid Pressure Sensitive Rotary Cutter works well on a variety of materials like paper, leather, vinyl, fabric, mat board and foamcore, in any direction. 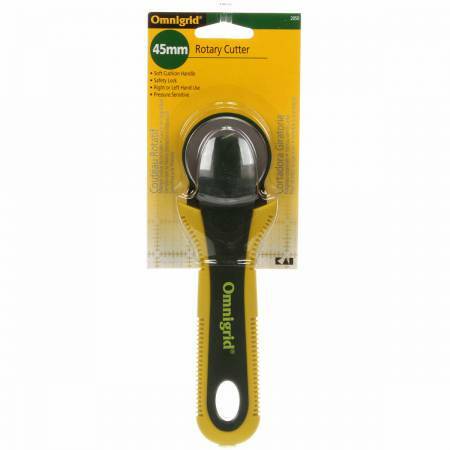 This rotary cutter is designed with an innovative pressure sensitive function that slides back the safety lock when subjected to slight pressure and exposes only the blade. Once you lift the cutter from the cutting surface, the safety lock slides back into place. It comes without buttons and has a comfortable grip on the lower part of the handle for added convenience.